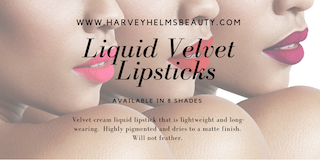 Velvet cream liquid lipstick that is light weight and long wearing. Highly pigmented and dries to a matte finish. Will not feather.